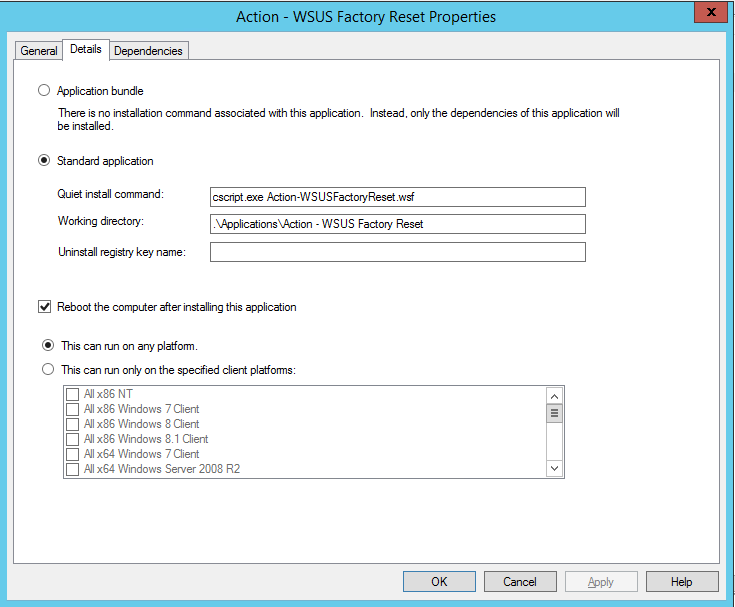 Since I’m a nice guy, here it is, the WSUS Factory Reset application for MDT. So, same story, download(http://1drv.ms/1IKrIFY), unzip and import as an application, like this. 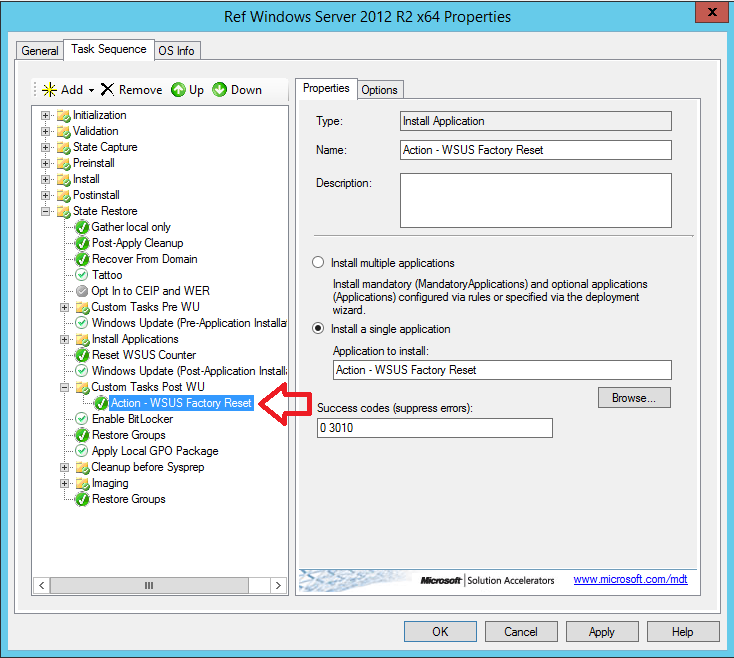 Then add it as an application in the MDT Task Sequence, something like this. Is this the updated version of https://anothermike2.wordpress.com/2015/03/26/nice-to-know-reset-wsus-settings-after-osd-in-mdt/ with respect to the problem the was reported by David o Brian? No, this script resets WSUS back to “it-has-never-ever-been-running”, and I have no idea what kind of issues David had, sorry. Is there a reason you don’t remove “WUStatusServer” in registry?